In its 2014 judgment directing the CBI to investigate the Saradha scam, the apex court said the agency's credibility cannot be doubted. Much has changed since. The political slugfest in Kolkata, impinging on federalism, has a curious dimension because the Central Bureau of Investigation (CBI), whose action against the city’s police commissioner precipitated it, claims that it is justified in terms of the Supreme Court’s judgment in 2014 directing it to take up the investigation into the Shardha chit fund scam. 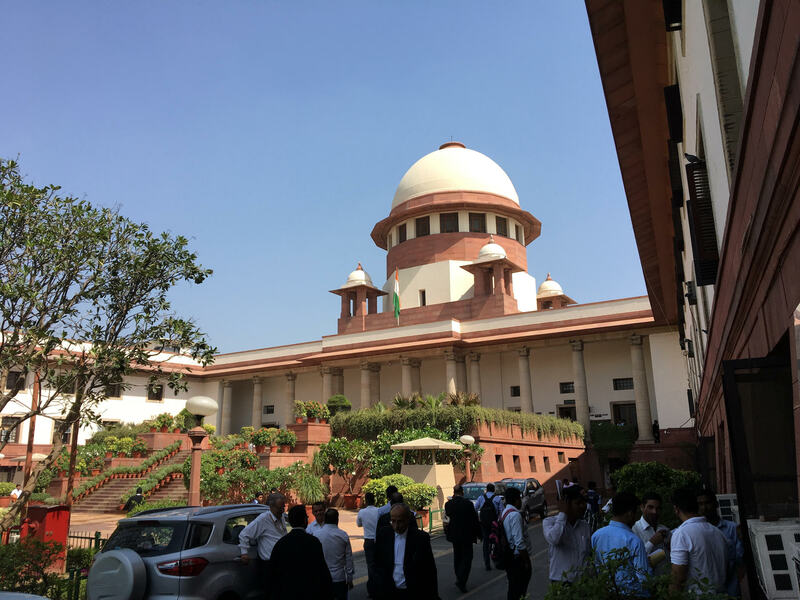 Even as the Supreme Court is set to hear the rival contentions on the issue on Tuesday, it is likely to make one wonder whether the court’s disproportionate trust in the CBI was misplaced. The 2014 judgment in Subrata Chattoraj v Union of India, in turn, relies on another judgment, delivered in 2010 by a five-judge Constitution bench in State of West Bengal v The Committee for Protection of Democratic Rights, West Bengal. Both the judgments need to be revisited to understand whether they further the cause of federalism. The Supreme Court’s judgment in State of West Bengal was a unanimous one, written by Justice D.K. Jain, and endorsed by Justices K.G. Balakrishnan, R.V. Raveendran, P. Sathasivam and J.M. Panchal, on February 17, 2010. It raised a very important issue impinging on federalism – whether the high courts and the Supreme Court had the power to refer investigation of an offence to the CBI, directly without prior approval of the concerned state government. Can the doctrine of separation of powers curtail the power of judicial review, conferred on the constitutional courts even in situations where the fundamental rights are sought to be abrogated or abridged on the ground that exercise of such power would impinge upon the said doctrine? The court held that in a federal constitution, the distribution of legislative powers between parliament and state legislatures involves limitation on legislative powers and, therefore, this requires an authority other than parliament to ascertain whether such limitations are transgressed. Judicial review, it held, acts as the final arbiter not only to give effect to the distribution of legislative powers between parliament and the state legislatures, it is also necessary to show any transgression by each entity. The court suggested that when the Delhi Special Police Establishment Act, 1946 (DSPE), which is the source of the CBI’s power, itself provides that subject to the consent by the state, the CBI can stake up investigation in relation to the crime, which was otherwise within the jurisdiction of the state police. The court could also exercise its constitutional power of judicial review and direct the CBI to take up the investigation within the jurisdiction of the state. In paragraph 46 of that judgment, the court added that there are certain self-imposed limitations on the exercise of Constitutional powers by the courts. This extraordinary power, it said, must be exercised sparingly, cautiously and in exceptional circumstances where it becomes necessary to provide credibility and instil confidence in investigations or where the incident may have national and international ramifications or where such an order may be necessary for doing complete justice and enforcing the fundamental rights. Posing the question whether the judiciary can appropriate to itself an authority that is expressly denied to the Centre by the Constitution, the court answered it in the affirmative. But the grounds it cited to justify this answer are problematic. It cited Entry 80 of List I, which is a restriction on the extension of a police force of one state to any area outside that state without the consent of the concerned state government. The court suggested that there is no reason as to why, in an exceptional situation, it would be precluded from exercising the same power which the Union could exercise in terms of the provisions of the statute. But here the court did not claim the “same power” but something which is expressly prohibited. The apex court also claimed that only those victims of incidents with national and international ramifications deserved the courts’ intervention, in the absence of the state government’s consent, to direct a CBI investigation. Surely, there could be any number of instances, when the national and the international media do not show any inclination to report an incident in which there is a clear violation of human rights, only because it does not interest their audience. Although the courts have intervened to direct the CBI whenever the victims did not have faith in the state police, there are sufficient instances when it refused to do so, inviting the criticism that it was unreasonable and arbitrary. The State of West Bengal case arose out of the Calcutta high court’s direction to the CBI, without seeking the consent of the state government, to investigate the killing of 11 Trinamool Congress supporters on January 4, 2001 by alleged Communist Party of India (Marxist) workers at Chhota Angaria village, Medinipur district, West Bengal. The CBI chargesheeted 13 accused persons in 2005. The trial court found eight of them innocent, while five of them were absconding. In 2011, the CBI reopened the case, after apprehending some of the absconding accused. The CBI appears to have made no progress in the case after that, if one goes by the newspaper reports on the investigation. Therefore, if today, the relatives of the victims of that massacre are yet to get any justice, the answer perhaps lies in the absence of effective monitoring of investigation and witness protection measures. The replacement of the state police by the CBI to investigate the case made no difference to the outcome. 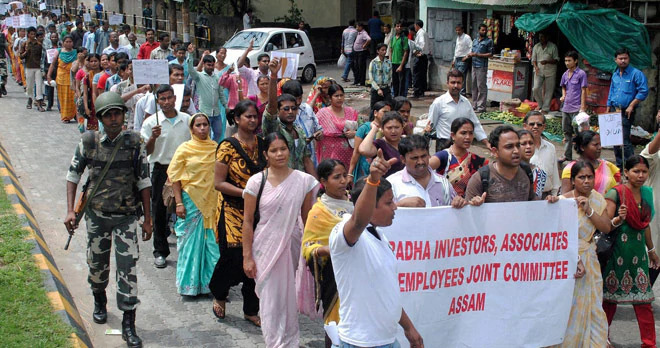 In the Saradha chit fund scam, investors were promised very high returns by way of interest rate ranging from 10% to 18%. For Saradha Realty India Ltd., as many as 2,21,000 agents were working, who were paid an unreasonably high brokerage of 30% of the instrument which became the driving force for the agents to go that extra mile to collect as much as possible, the Supreme Court’s 2014 judgment shows. An interim forensic report submitted to the Securities and Exchange Board of India (SEBI) in February 2014 indicated that investments that matured for payment were paid out of the cash collected from new members which was opposed to the normal business norms in which returns ought to be paid out of profits earned in the business. Besides, the cash collections were neither accurately shown in the books of accounts, nor did the bank accounts reveal the details of such cash collections. The report stated that the company had no real intention of doing any legitimate business activity and the money collected from the public was spread over 160 companies and spent away or siphoned off. The companies had opened too many bank accounts for Round Tripping Transactions for the monies collected by them. The companies had as many as 347 bank accounts in 15 banks in the name of group companies. The report alleged fraudulent certification, non-compliance of accounting standards, material mis-statement of facts and gross negligence on the part of the statutory auditors. The state government set up a commission of inquiry headed by Justice Shyamal Kumar Sen, retired Chief Justice, Allahabad high court, with four others to be nominated by it, to probe the scam. The commission was authorised to send directives to the Special Investigation Team, identify the key accused, quantify the amount of money involved in the alleged transactions, assess the assets and liabilities of the group companies and to recommend ways and means for providing succour to those who had lost their savings. The commission received nearly 18 lakh complaints and claim petitions demanding refund of the amount deposited under such Ponzi schemes. Kunal Kumar Ghosh, the TMC’s MP and the media CEO of the Saradha Group, was arrested on November 23, 2013 when the investigation was still under the state police. The Supreme Court itself noted the state government’s claim that the Special Investigation Team, constituted by it, and the police are extending full support and cooperation to the central agencies like Enforcement Directorate, Serious Fraud Investigation Office for effective investigation of the scam. Therefore, the state opposed the prayer of the petitioner for transfer of the investigation from the state police to the CBI. The Supreme Court noted that a huge gap between the amount collected from the investors and the investments made in real estate by the group called for effective investigation as to the trail of money collected. “Investigation by the State Police has not unfortunately made any significant headway in this regard”, the two-judge bench comprising Justice T.S. Thakur and Justice C. Nagappan noted. More importantly, the bench observed that the question whether the scam flourished on account of the support and patronage of others needed to be addressed. After going through the evidence submitted, the bench noted that several important individuals wielding considerable influence within the system at the state and the national level had been identified by the investigating agency for interrogation. The bench also noted that officials of the regulatory agencies like the Reserve Bank of India, SEBI and Registrar of Companies were also involved in the conspiracy. The SEBI had expressed the view that it did not have jurisdiction to deal with the case and therefore, the allegation that its officials connived at the scam, was not valid. The bench was, however, sceptical of this claim. The bench also noted that Assam, Tripura and Orissa also suffered because of the scam, whereas only Assam and Tripura had asked the CBI to investigate it. The counsel for Orissa, Gopal Subramanium, told the bench that state police officials could assist the CBI’s public prosecutors, so that efficacy of the investigation and prosecution were both taken care of by the joint efforts of the Central and state authorities. The bench noted that apart from the sensitivity of the issues involved, especially inter-state ramifications of the scam under investigation, transfer of cases from the state police had been ordered by this Court also with a view to ensure “credibility of such investigation in the public perception”. The question, however, is not whether the State police has faltered. The question is whether what is done by the State police is sufficient to inspire confidence of those who are aggrieved. While we do not consider it necessary to go into the question whether the State police have done all that it ought to have done, we need to point out that money trail has not yet been traced. The bench was concerned that the state police was handicapped in examining the inter-state ramifications of the scam. In Paragraph 32, the bench noted the concern of the counsel for West Bengal and Orissa that the CBI itself has in a great measure lost its credibility and is no longer as effective and independent as it may have been in the past. “Similar sentiments were expressed by Mr.P.V.Shetty appearing on behalf of some of the investors and some other intervenors, who followed suit to pursue a similar line of argument”, the bench noted. So long as there is nothing substantial affecting its credibility it (the CBI) remains a premier Investigating Agency… We cannot, therefore, decline transfer of the cases only because of certain stray observations or misplaced apprehensions expressed by those connected with the scam or those likely to be affected by the investigation. Then, the bench cited a 2005 judgment in which it had lauded the CBI as an “independent agency that is not only capable of , but actually shows results”. Surely, much water has flown since then, to sully the credibility of the CBI. The bench concluded its 2014 judgment saying that it did not then consider it necessary to constitute a monitoring team to monitor the progress of the investigation into the scam. “But, we leave the exercise of that option open for the future,” it said. As another bench hears the case today, it may well feel that it has to exercise that option now.